A Living Tradition has been working with a group of children in Years 3, 4 and 5 for whom English is a Second Language. The children produced some excellent writing about the waves of people who have come to Tyneside. They also performed a well received assembly on the same theme in Bridgewater School on Thursday 12th July 2012. 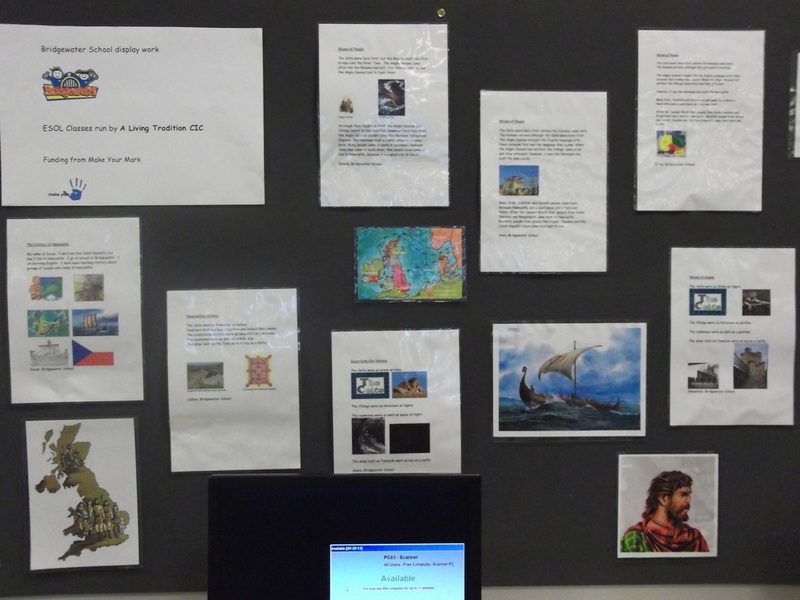 Here is the excellent display work from the ESOL pupils at Bridgewater School. Read it to learn more about how different groups of people have come to live on Tyneside. 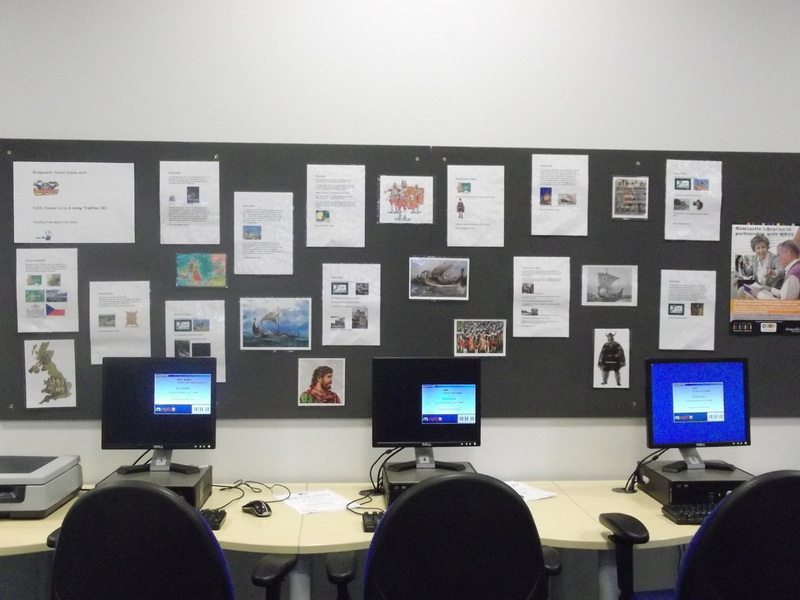 Above are pictures of the Bridgewater School display work at the West End Library in Newcastle. On Wednesday 19th September A Living Tradition began a course of guitar lessons as part of its creative arts programme. On Wednesday 12th December the three members of the class all played and sang short songs in a special performance in the Achievers' assembly. They certainly had achieved a lot in a short amount of time!